In a damning new report on mass prison killings in Iran in 1988, human rights NGO Amnesty International has today named a number of high-ranking officials who were involved in the forced disappearance and secret execution of thousands of political dissidents. Alireza Avaei, Iran’s current minister of justice, who was the prosecutor general of Dezful in Khuzestan province and was tasked with participating in a so-called “death commission” in that city. Hossein Ali Nayyeri, who acted as Shari’a judge in the Tehran “death commission”, who is today head of the Supreme Disciplinary Court for Judges. Ebrahim Raisi, the deputy prosecutor general of Tehran in 1988 and another member of the Tehran “death commission”, who ran for the presidency in 2017 and has held several high-profile positions, most recently as the country’s prosecutor general until 2016. Mohammad Hossein Ahmadi, who participated in the Khuzestan “death commission”, who is currently a member of the Assembly of Experts, a constitutional body with the power to appoint or dismiss Iran’s Supreme Leader. Mostafa Pourmohammadi, who served as justice minister during 2013-17, represented the ministry of intelligence in the Tehran “death commission”. In 2016, he was quoted boasting about his role saying “We are proud to have carried out God’s commandment concerning the [PMOI]”, adding he had not “lost any sleep all these years” over the killings. Amnesty’s 140-page report – Blood-soaked secrets: Why Iran’s 1988 prison massacres are ongoing crimes against humanity – describes how, in late July 1988, the authorities put prisons across the country on lockdown and suspended family visits. In the following weeks, at least 5,000 political dissidents were extrajudicially executed in a coordinated operation to eliminate political opposition. This was on the orders of at least one secret fatwa issued by then Supreme Leader of Iran, Ruhollah Khomeini, following an armed incursion into Iran by the People’s Mojahedin Organisation of Iran (PMOI), an outlawed opposition group based in Iraq. Across Iran, groups of prisoners were rounded up, blindfolded and brought before committees involving judicial, prosecution, intelligence and prison officials. These “death commissions” bore no resemblance to a court and their proceedings were summary and arbitrary in the extreme, with no possibility of appeal at any time. Prisoners were asked questions such as whether they were prepared to repent for their political opinions, publicly denounce their political groups and declare loyalty to the Islamic Republic. Some were asked questions over their willingness to walk through a minefield to assist the army or participate in firing squads. They were never told their answers could condemn them to death, and some thought they were appearing before a pardon committee. Often, they only discovered they were to be executed minutes before they were lined up before a firing squad or nooses were put around their necks. Most of the victims were serving prison terms issued years earlier. Some had been detained for years without trial, and some had already completed their sentences but were due to be released. Most had been imprisoned because of their political opinions and peaceful activities, such as distributing leaflets and attending demonstrations. 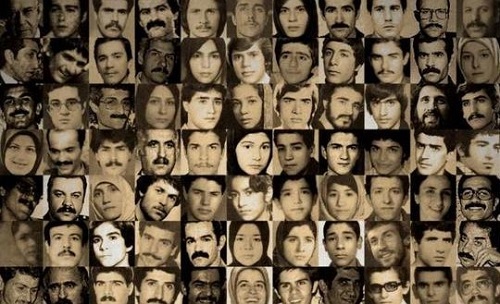 The majority of the victims were affiliated with the PMOI, but hundreds of prisoners affiliated with leftist political organisations and Kurdish opposition groups were also executed. “These blood-soaked secrets from Iran’s past continue to haunt the country to the present day. “This report unravels the web of denials and distortions that the Iranian authorities have perpetuated over 30 years, both at home and internationally, to hide the truth that they forcibly disappeared and systematically killed thousands of political dissidents within a matter of weeks between late July and early September 1988. “The fact that to this day the Iranian authorities refuse to acknowledge the mass killings, tell relatives when, how and why their loved ones were killed and identify and return their bodies, means that the enforced disappearances are continuing today. “Until Iran’s authorities come clean and publicly reveal the fate and whereabouts of the victims, these crimes against humanity are ongoing. In August 2016, an audio recording was leaked of an August 1988 meeting in which some of the key officials from the Tehran “death commission” are heard discussing its harrowing work. In response to the publicity sparked by this revelation, Iranian leaders have recently openly celebrated the events of 1988, glorifying the purge and describing those responsible as worthy of receiving “medals of honour”. These statements follow a three-decade long campaign of misinformation in which the authorities have downplayed the scale of the killings and demonised the victims as a “few terrorists”. 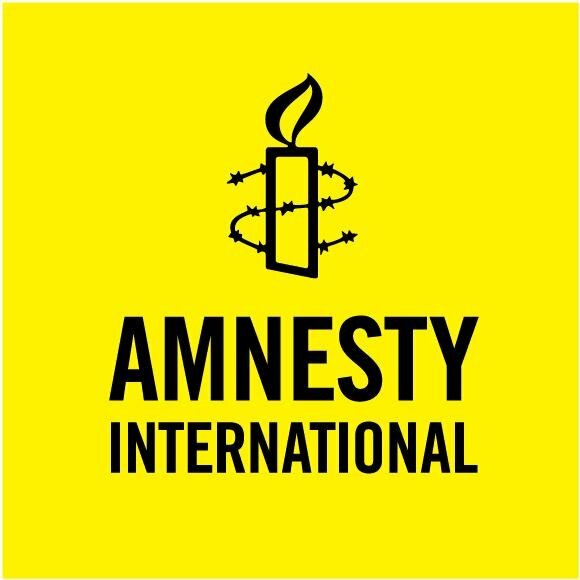 Amnesty’s report says that the families and survivors in Iran have been grossly failed by the UN and international community. A lack of condemnation from the UN Commission of Human Rights at the time and a failure of the UN General Assembly to refer the situation to the Security Council has served to embolden Iran’s authorities in its pattern of denial and persecution of relatives. For this report, Amnesty gathered the testimonies of more than 100 family members and survivors from across Iran, and examined hundreds of documents from Amnesty’s own historical archives; reports, memoirs and other written materials from survivors and Iranian human rights groups; and statements from the UN and Iranian authorities. Amnesty also crosschecked lists containing the names of thousands of victims and examined victims’ death certificates, many of which give no explanation or cite “natural causes” as the cause of death. Amnesty’s research reveals the shocking national scale and geographical spread of the mass killings, identifying at least 32 cities across Iran where these atrocities took place.